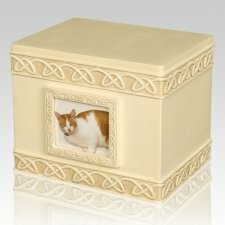 The My Furry Companion Cat Urn is made from high quality, sturdy poly-stone. 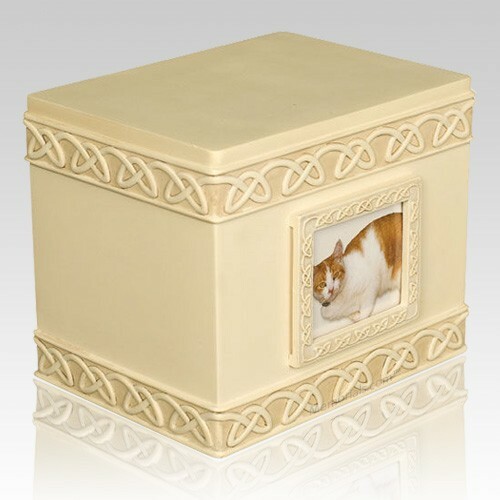 The beautiful box style cat urn has a Celtic knot design along the top and bottom of the piece. 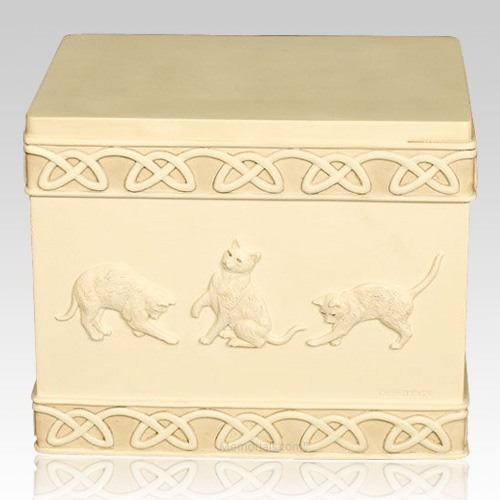 "The product, price, customer service, quick delivery and same day call back was more than I had expected. I am very satisfied and will come back to you for any other services you could be of help with. Thank You for making a rough time in my life a little easier." Shannon S.